Christmas is coming to The Farm at South Mountain this year! There will be several free events, along with workshops and pop-ups throughout the property. Most importantly, starting December 1 through 23 on Tuesdays through Saturdays, there will be Christmas light displays at The Farm for everyone to enjoy. Head over at sundown until 9:00pm to view our new light display featuring fun farm characters! Take a stroll down the lane as you view festive farm inspired Christmas light displays in our pecan grove. On Saturday Dec. 10 and Dec 17 enjoy Christmas lights plus farm festivities! Leave room for holiday treats as there will be plenty of food, hot chocolate, cider and wine for sale to keep you warm as you explore The Farm on these magical nights. From vintage ornaments to local artisans, shop all things Christmas at The Farm. This pop-up Art Festival will be your one-stop shop for decorations and gifts this holiday season. Christmas Light Festival at The Farm! Enjoy Christmas lights plus farm festivities! Leave room for holiday treats as there will be plenty of food, hot chocolate, cider and wine for sale to keep you warm as you explore The Farm on these magical nights. 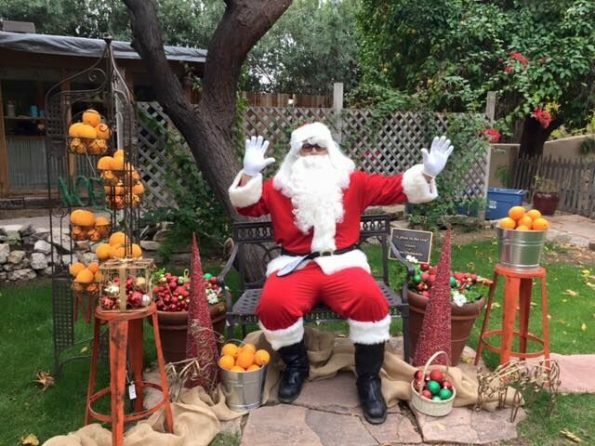 Enjoy breakfast at Morning Glory Cafe and receive a ticket to visit Santa at Botanica. Bring your camera to take a photo with Santa and then head to the Christmas Craft Zone to create a card to take home and set with your cookies for Santa on Christmas Eve. 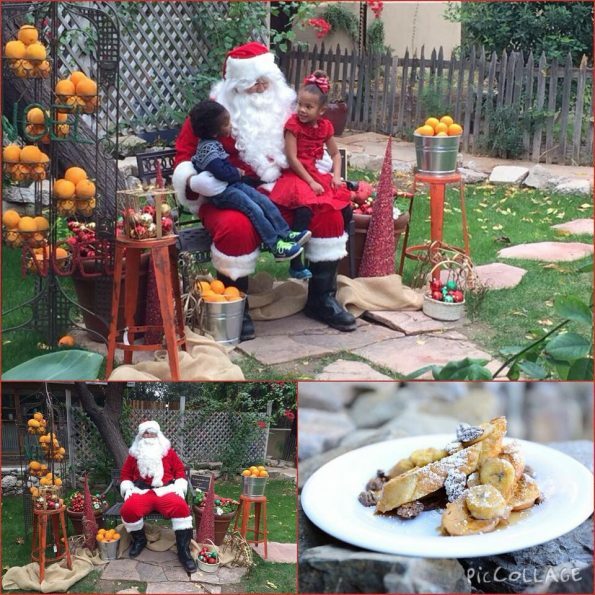 Bring the family for lunch at The Farm Kitchen and receive a token to see Santa in the grove. After taking photos, enjoy yard games with the family and create a card to take home to leave with your cookies on Christmas Eve! The Phoenix Children’s Choir will also be singing carols and holiday tunes in The Grove. *Class will need a minimum of 20 registrants to occur. Refund will be given if minimum not met. 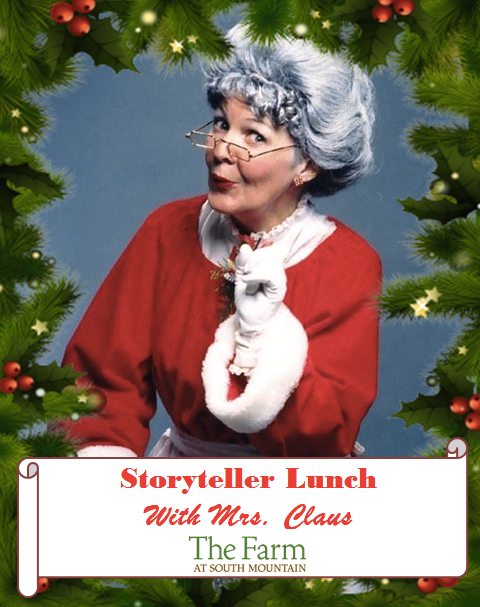 Bring a picnic blanket to lounge with the kiddos to hear story time with Mrs. Claus! Mrs. Claus will be sharing her favorite Christmas stories from 11:00am-12:00pm. Bring your camera for a photo opportunity after story time! Grab a picnic lunch from Farm Kitchen when they open at 10:30 a.m. to picnic during story time or order lunch after to enjoy in our grove. The Farm Kitchen also has yard games to rent to make a fun afternoon at The Farm. *Reminder, outside food & drink not allowed at The Farm. Join us for a free holiday flick under the Pecan trees in The Farm’s grove! Get to The Farm early to purchase hot cocoa and snacks from our food truck. Bring a blanket and pillows to get comfortable as you enjoy a fun holiday flick under the stars in our grove. *Please remember, no outside food or drink allowed at The Farm.